The common perception of steel hearkens back to the industrial revolution. Many people think of smokestacks and furnaces and dirty factories. However, when you start looking at the facts, steel becomes an appealing building material for green-friendly builders. Why is making a building environmentally friendly important? For some people, they are just conscious of their environmental footprint. Others might want to keep monthly bills low with energy efficiency. Whatever the reason, steel is a fantastic option for environmentally friendly builders. Another surprise for many who are unfamiliar with steel buildings is that steel is the most recycled material. In fact, more steel is recycled than the next four most recycled materials combined (paper, aluminum, glass, and plastic). Additionally, over 50% of steel manufactured in the United States is made by recycling old steel. Over 80 million tons of steel were recycled, and future years are projected to maintain these high amounts of recycling. One of the main reasons people and companies choose steel building over traditional building types are for their durability. Steel is strong and durable, and have a tremendous strength to weight ratio. Your steel building will last you for years and can withstand tremendous wear and tear from both internal use and external factors. 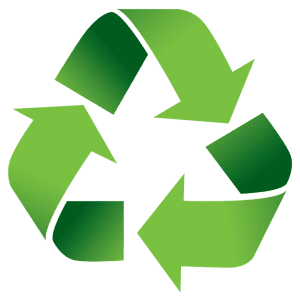 You will not have to replace your building with brand new materials for years, and when it is finally time to take the building down, it can be recycled back into new steel. Energy efficiency is one of the highest priorities for most building owners. Especially with larger buildings (which are some of the most common steel buildings), a building that is not energy efficient can become expensive to heat and cool. Steel buildings are easy to insulate, some are even made of “sandwich panels,” or two steel panels that have insulation pressed in-between them. Moreover, there are coatings that you can apply to the steel to give it energy-efficient properties, such as the ability to better reflect light to keep the surface cool. Make sure that when you consult with a Steelsmith team member, you discuss high R-value options for your building. While steel buildings have many attributes that make them an appealing option for all types of buildings, the fact that they are green-friendly provides an additional unique characteristic that makes it extra appealing option for your next construction project.